Original concrete silo type S016 [1600 tonnes capacity] built in 1932. 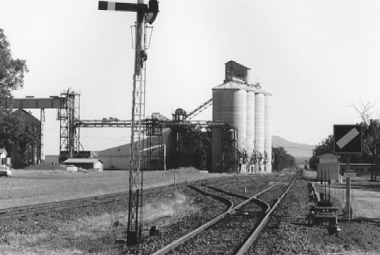 The D150 bulkhead [15000 tonnes] was added in 1967, constructed by Leeton Steel & Vehicular Works. 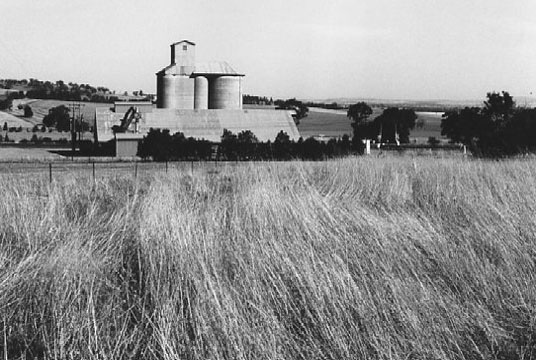 Concrete silos, construction date and capacity unknown.The D150 bulkhead [15000 tonnes] was built in 1967. 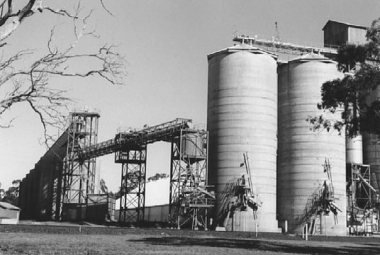 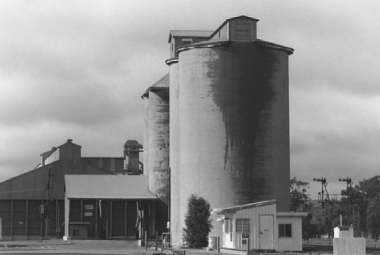 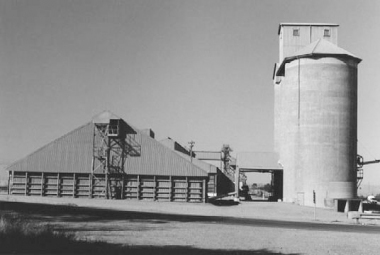 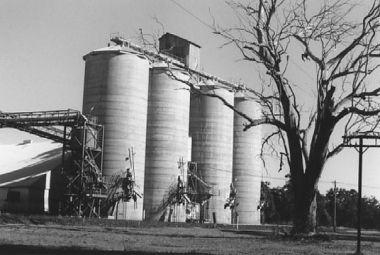 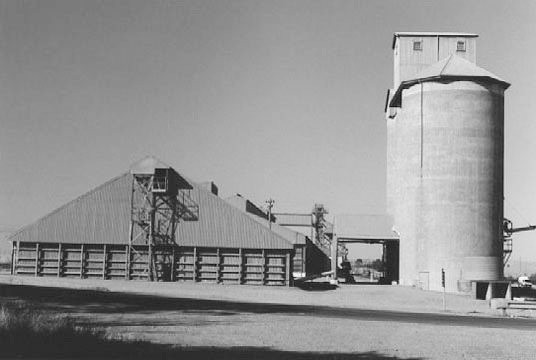 Concrete silos with steel bands, Construction date and capacities unknown. 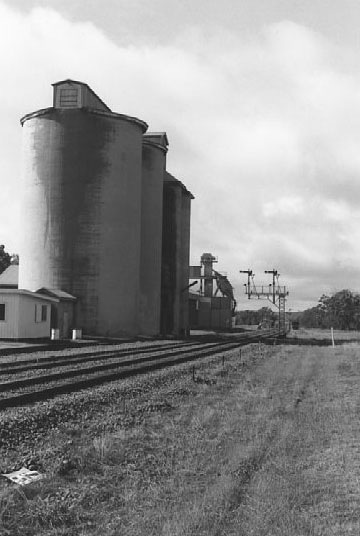 Bulkhead C288 [28800 tonnes capacity] built in 1968.